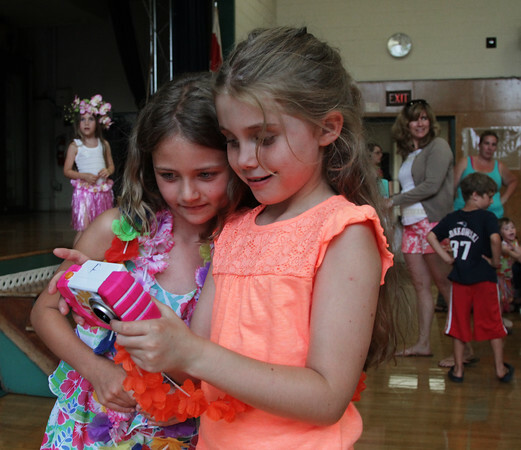 Eight-year-olds Avery Dott, left, and Fiona Flynn look at photographs at the conclusion of a "Hawaiian Hula Dance Party" Monday at Essex Elementary School. The event, hosted by the T.O.H.P. Burnham Library to coincide with its Hawaiian-themed summer reading program, was presented by dancers from the Providence, Rhode Island-based Polynesian Fusion.